The opportunity is here with Woodale - this beautiful 2-1/4 in. Solid Hardwood Flooring features a stunning color of Carmel Oak that highlights the beauty of the oak grain. Woodale is sure to add style to any room in your home. This hardwood is rated High color and character variation with distinguishable color variation within each box. It is imperative that hardwood planks from various cartons be continually blended during installation to insure optimum appearance. 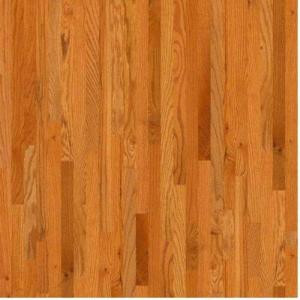 Buy online Shaw Take Home Sample - Woodale Carmel Oak Solid Hardwood Flooring - 5 in. x 7 in. DH82400193, leave review and share Your friends.